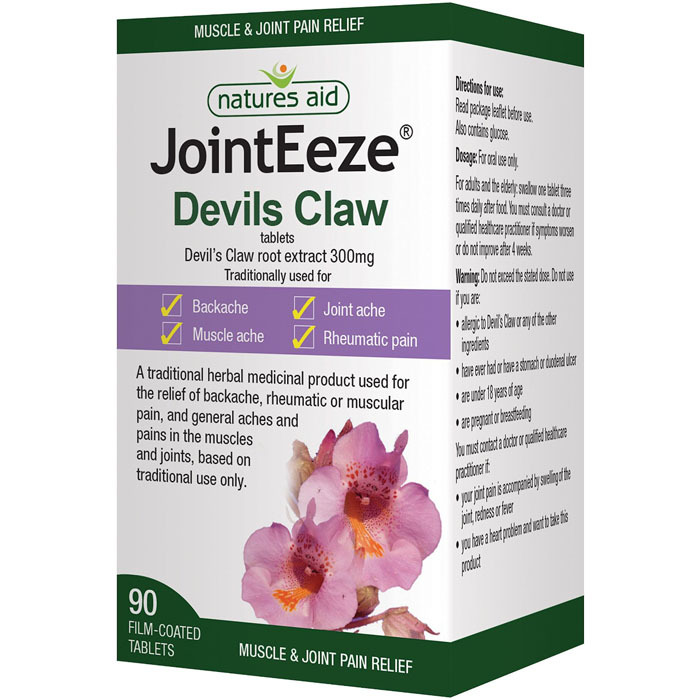 Natures Aid JointEeze 300mg Devil’s Claw. 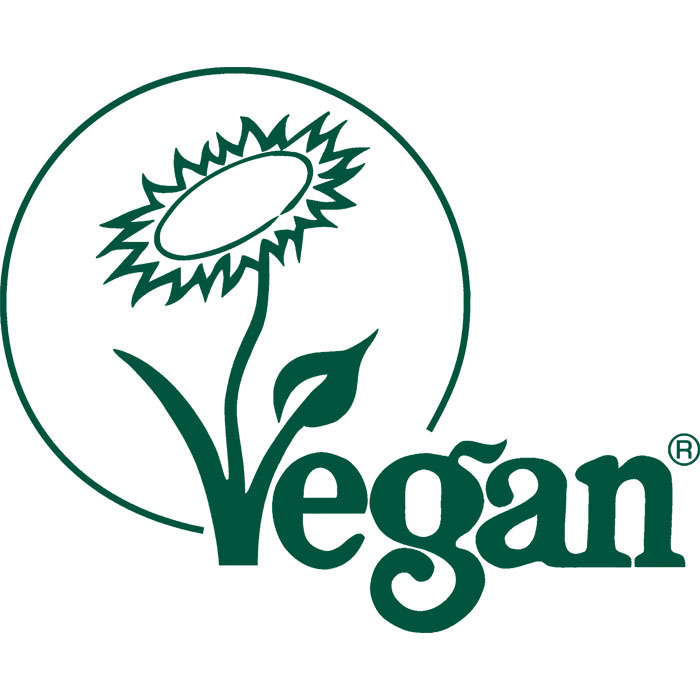 Traditional herbal remedy from Award winning producers. Each pot contains 90 tablets. Relief of joint ache & pains e.g knee, elbow, wrist, shoulder, spine. 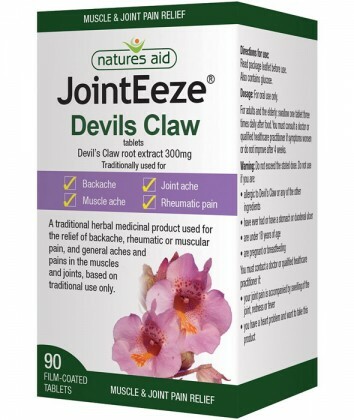 Relief of rheumatic or muscle ache or pains. SKU: 1010. 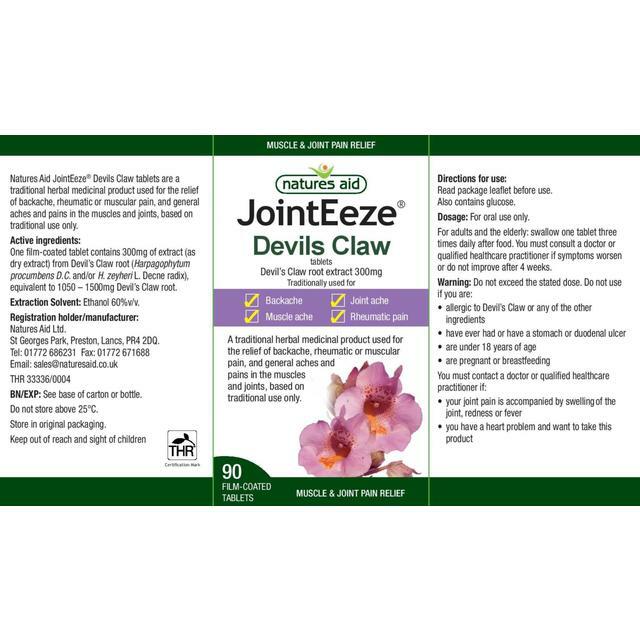 Categories: Joint Health, Supplements. Adults – 1 tablet to be taken 3 times a day after food. Not suitable for – under 18’s, pregnant or breastfeeding, if ever had a stomach or duodenal ulcer. Always read the full instructions provided before taking if unsure please consult your GP.